A goat? On a boat?! What’s that got to do with science? In fact, it’s very scientific when you know that the youngest of the Billy Goats Gruff was actually a naval architect (a boat designer). 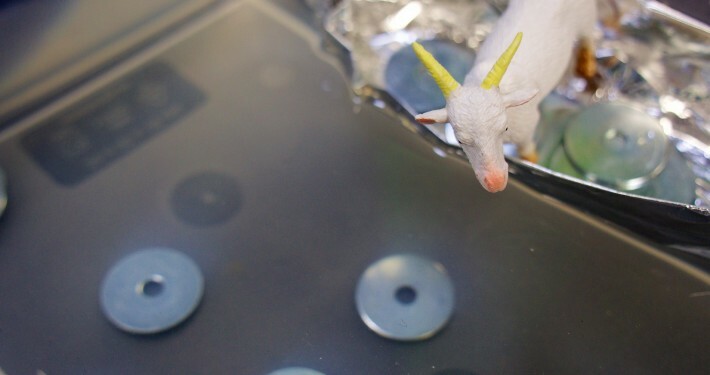 This little known twist in the old tale has inspired our Goat on a Boat workshop – where we really do float a goat on a boat! One solution to the Goat on a Boat challenge! If a goat wants to travel across a river, what shape boat should it build? Hmm. Perhaps not very real problems. But real enough for the youngest billy goat. 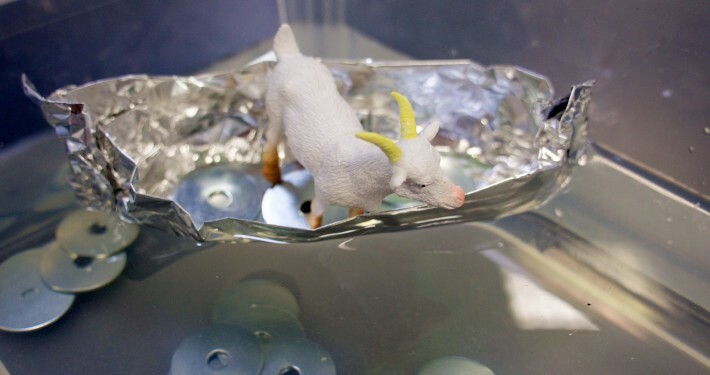 We provide you with the materials to build your raft, some test weights (washers)… and a goat. You could supply your own goat, but ours are carefully trained to be minimal bother in workshops. They’re also small and plastic. 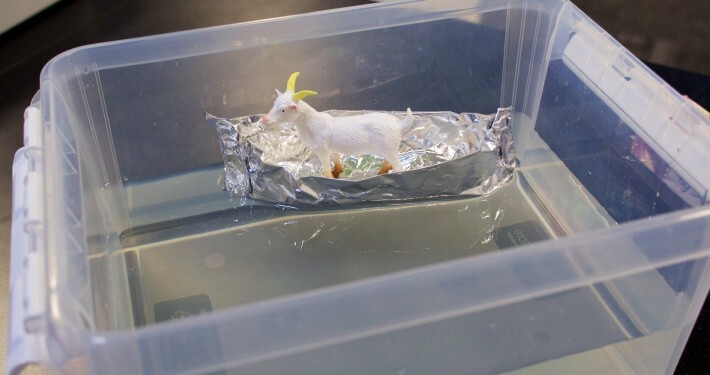 You have to design, build and test a foil boat which is strong enough to float even the youngest goat safely across a river. What design will your boat be? How will you test your boat? How will you know which is the best design? 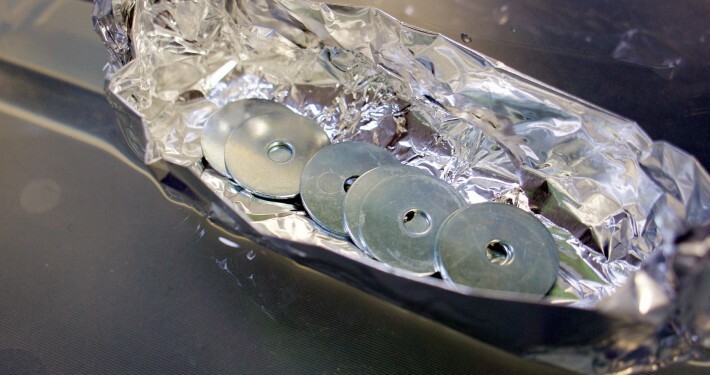 During the workshop, you’ll experience an awful lot of sinking and hopefully a bit of floating as well. You’ll explore which shapes of boat are better than others for keeping goats afloat. 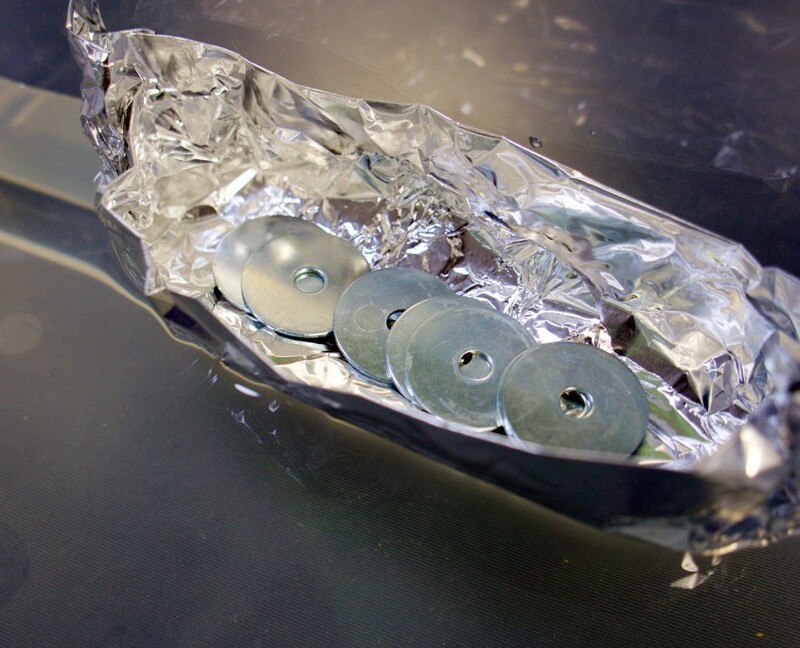 By the end of the workshop you should have a really good idea of how to make a boat that can float. Hopefully, you’ll have made a firm recommendation to your intrepid goat, and will have floated it happily on your boat. That’s true. Goats are odd animals, but they’ve never been observed in the wild building rafts. They don’t even seem terribly interested in engineering. If it’s in the sea, oceanographers want to know about it. They study seawater, the polar ice caps, the atmosphere, and the biosphere. They work out how the oceans move, and how they’re changing. Oceanographers might specialise in fisheries, minerals and mining, pollution, weather and climate prediction, or renewable energy. If it’s the goat that interested you more than the boat, think about zoologists – who study animals – and marine biologists – who study fish and other sea creatures. They look at the animals and their environments: what they eat, how they interact, and almost certainly not how they make boats. This goat’s boat wasn’t so successful, and it had to take to a life raft to escape.